Max Perutz Chair of Molecular Biophysics at Liverpool U. Research activities within structural biology across London are coordinated by the London Structural Biology Consortium, created in October 2002. All academic structural biology research groupings are represented: Birkbeck, Cancer Research UK, Imperial College, Institute of Cancer Research, King's College, National Institute for Medical Research, Queen Mary, School of Pharmacy and University College. The School of Crystallography at Birkbeck concentrates on structural biology, biophysics and bioinformatics as part of the Birkbeck/UCL Institute of Structural Molecular Biology. The School's approach to structural biology is increasingly one of combining protein crystallography with single-particle cryo-electron microscopy and 3-D reconstruction. There is a focus on pathogenesis and bacterial toxins (Gabriel Waksman, David Moss, Bonnie Wallace, Helen Saibil, Nicholas Keep), cancer and DNA repair (Neil McDonald, Tracey Barrett, Elena Orlova), chaperones, protein-folding diseases and cataracts (Helen Saibil, Elena Orlova, Nicholas Keep, Bibek Gooptu, Christine Slingsby), and cytoskeletal structure and function (Carolyn Moores, Nicholas Keep). 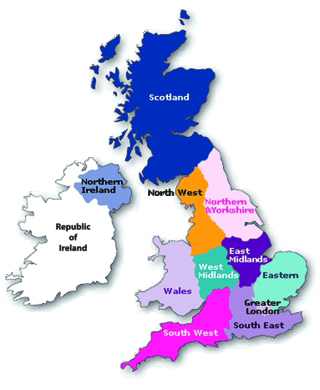 The Cancer Research UK London Research Institute operates at two locations. At the Clare Hall Laboratories, the research of Dale Wigley is focused on enzymes that are involved in the replication and repair of DNA, utilising a variety of techniques in molecular biology, enzymology and X-ray crystallography. At the Lincoln's Inn Fields Laboratories, one long-term research goal is to understand protein regulation in the brain, including implications for neurodegeneration and cell-cycle control (Helen Walden). There is also interest in determining the structures of some of the multi-protein complexes that comprise the kinetochore (Martin Singleton), particularly those proteins involved in binding centromeric DNA and the complexes implicated in generating the spindle checkpoint signal at the kinetochore. The Imperial College Centre for Structural Biology comprises over 20 affiliated research groups within the Divisions of Molecular Biosciences and Biology, School of Medicine and Dept. of Chemistry. A major research theme is the development of new techniques for crystallisation and crystallography of membrane proteins (So Iwata, Naomi Chayen), which has led to the creation of the Membrane Protein Laboratory (MPL) as a joint venture between Imperial College and the Diamond Light Source, funded by the Wellcome Trust. The facility, under the directorship of So Iwata, housed in a laboratory next to the Diamond synchrotron, was first available to users in January 2008. The MPL is designed to train users in membrane protein crystallisation and is also involved with the development of new methods for crystallisation and data collection on membrane proteins, in collaboration with Gwyndaf Evans at Diamond. Members of the MPL are involved specifically in crystallisation and structure determination work on a number of membrane proteins from the transporter, ATPase, respiration and GPCR families. Structural research has included the determination of a number of important crystal structures, including the human DNA repair enzyme Ape-1, XRCC1 BRCT domain, procine spasmolytic polypeptide, and the disease-associated ATPase p97 (Paul Freemont). The Centre also has biomolecular NMR facilities (Stephen Matthews) and is involved in bioinformatics research (Michael Sternberg). In the Structural Biology Section at the Institute of Cancer Research X-ray crystallography, electron microscopy, biophysics, biochemistry and molecular biology are combined to study the structural basis for the function and regulation of proteins and complexes implicated in cancer. Research programmes cover a range of key molecular systems and processes, including signal transduction (David Barford, Laurence Pearl, Richard Bayliss), cell-cycle control (Barford), transcriptional regulation (Pearl, Jon Wilson), targeted protein destruction (Barford, Ed Morris), chaperone function (Pearl), DNA repair (Pearl), chromatin modification (Pearl, Wilson) and chromosome dynamics (Bayliss). In addition to basic science programmes, the Section maintains close links with other groups that are involved in developing new therapeutics targeted at these systems, both within and outside the Institute of Cancer Research. As part of the Randall Division of Molecular and Cell Biophysics at King's College London, the research interests of the Structural Biology Group include structural studies on oxygenases (Roberto Steiner), antibodies that mediate allergy and asthma (Brian Sutton, Andrew Beavil), enzymes responsible for bacterial resistance to antibiotics (Paul Brown), protein/RNA complexes involved in RNA metabolism and initiation of translation (Sasi Conte), enzyme complexes that recognise and repair damaged DNA (Mark Sanderson), and proteins involved in polyglutamine expansion diseases and other neurodegenerative disorders (Yu Wai Chen). A structural bioinformatics group has been established (Franca Fraternali) with research interests in the analysis and prediction of protein/protein and protein/nucleic acid interactions, and the analysis of small-molecule/macromolecule interactions. At the MRC National Institute for Medical Research (NIMR), the Structural Biology group employs crystallography as one of a wide range of biochemical and biophysical techniques, including electron microscopy, NMR spectroscopy and single-molecule measurements. These methods are combined with bioinformatics approaches to study the structure and function of macromolecular assemblies involved in a variety of disease processes. Specific research interests are focused on signal-transduction processes (Steve Gamblin, Katrin Rittinger, Steve Smerdon), transcriptional regulation (Gamblin, Smerdon, Ian Taylor), DNA damage signalling (Smerdon), innate immunity (Rittinger), influenza (Gamblin) and viral assembly (Taylor). The Cancer Research UK Biomolecular Structure Group at the School of Pharmacy (Stephen Neidle, Gary Parkinson) employs crystallography combined with molecular modelling/simulation to study nucleic acids and their interactions with small molecules in the context of anticancer drug discovery. One principal focus is on determination of quadruplex DNA structures, using the derived information to assist in the design of novel telomere-targeting and gene-targeting molecules. Other active structural projects consider protein-protein interactions and anti-infective agents, especially against MRSA. The crystallographers within the School of Biological and Chemical Sciences at Queen Mary have a focus on photosynthetic reaction centres, plant proteins, enzymes, and proteins produced by bacterial phytopathogens (Richard Pickersgill, Norbert Krauss). The technologies of EPR/ENDOR spectroscopy (Steve Rigby, Peter Heathcote), NMR spectroscopy (John Viles) and electron microscopy (Jon Neild) are combined with crystallography (Pickersgill, Krauss) to understand protein activity and to study systems of greater size and complexity. At University College, Dept. of Biochemistry and Molecular Biology (which is closely linked to the Birkbeck/UCL Institute of Structural Molecular Biology), X-ray crystallographic studies of biologically important proteins are carried out in conjunction with biophysical characterisation, NMR spectroscopy and bioinformatics investigations. Areas of research include pathogenesis (Gabriel Waksman and Snezana Djordjevic), signal transduction (Waksman and Djordjevic) and enzymatic mechanisms of pathogenic peroxidases (Djordjevic). In addition, neutron and X-ray scattering is used together with analytical ultracentrifugation to determine medium-resolution solution structures for immunologically-important multidomain proteins (Steve Perkins). The industrial materials group at Birkbeck (Paul Barnes, Nora Leeuw) focuses on structure and dynamics of functional materials, with a particular interest in variations of structure on timescales of about 1 second upwards. Principal techniques include PXRD, especially time-resolved in situ methods to study the consequences of chemical or physical changes, energy-dispersive diffraction, neutron diffraction, EXAFS and computer modeling. Chemical crystallography at UCL (Derek Tocher, Jeremy Cockcroft) underpins research in inorganic and materials chemistry, as well as providing key data for the development of synthetic methods in organic synthesis. UCL is also the principal centre for the Control and Prediction of the Organic Solid State (CPOSS) project led by Sally Price, which aims to develop computational technology for the prediction of the crystal structure(s) of organic molecules. Research at the Davy Faraday Research Laboratory of the Royal Institution (Richard Catlow, Peter Day, Sir John Meurig Thomas, Paul McMillan, Richard Oldman, Gopinathan Sankar) focuses on solid-state and materials chemistry, including heterogeneous catalysis, surface chemistry, mineralogy, molecular solids and electronic and magnetic materials. The work of the laboratory is based on a combination of experimental and computational techniques, and the laboratory is a major user and developer of national and international central facilities for high-performance computing, synchrotron radiation and neutron scattering. At the University of Southampton, chemical crystallography research (Mike Hursthouse, Simon Coles, Thomas Gelbrich, Mark Light) focuses on structural systematics of families of functionalised organic compounds in order to gain insights into crystal assembly, to develop understanding of phenomena such as polymorphism and structural similarity, and to inform work on crystal structure prediction. Typical analyses consider matrices of related structures (often of the order of 100) by systematic approaches embodied in the group's XPac software package, which has been developed to provide an automated gauge of crystal structure similarity. The work is supported by a laboratory specifically developed to examine physical and thermal properties of crystalline solids in order to investigate structure-property relationships and structural transformations. The group is active in the areas of e-science and informatics, developing new approaches to open-access publication of crystallographic data (and other analytical data), as well as remote-control experiments and systems for data management and experimental analysis. In Southampton's biological group, Jon Cooper pursues structural studies of various proteins, including enzymes of the tetrapyrrole biosynthesis pathway, C—C bond hydrolases, acute phase proteins, aspartic proteinases, methylotroph electron transport proteins and inositol monophosphatase. Recent projects include structural analysis of a calcium-signalling protein associated with learning and memory, and an invasion protein from the pathogen Burkholderia pseudomallei. At the University of Reading, the research interests of Mike Drew span a range of structural chemistry projects, including small inorganic and organic molecules, metal complexes, host-guest interactions and chiral ruthenium complexes. The main research interest of Christine Cardin has developed into nucleic acid crystallography, focusing in particular on understanding the mode of action of the DACA family of anticancer drugs, developed by Bill Denny at the University of Auckland. The research of Ann Chippindale and Simon Hibble concentrates on ordered crystalline materials such as open-framework metal phosphates, sulphides and cyanides, and disordered crystalline materials, particularly simple transition metal cyanides. Thermal studies, particularly of negative thermal-expansion materials, and single-crystal-to-single-crystal transformations are a principal research theme. The functional materials group at the University of Kent (Alan Chadwick, Bob Newport, Gavin Mountjoy) concentrate primarily on atomic-scale structural properties of amorphous and nano-crystalline materials, including bioactive and other oxide glasses, Li-based solid-state battery materials and oxide nano-composites. Inelastic neutron scattering and X-ray absorption spectroscopy complement neutron and X-ray diffraction techniques, with in situ and time-resolved experiments becoming a prominent research area. At the University of Sussex, Darren Thompson is engaged in crystallographic study of proteins in the complement cascade including the multi-protein complex C1, and short-switch peptides that have been designed to change conformation from a coil to a finger upon addition of zinc. At the University of Portsmouth, the main research focus of John McGeehan is on the structural characterisation of nucleic acid proteins by macromolecular crystallography in collaboration with Geoff Kneale. He is also involved in collaborative projects with the ESRF and The Diamond Light Source to develop online microspectrophotometers, allowing UV/Vis, fluorescence and Raman spectra to be collected during synchrotron-based macromolecular crystallographic experiments. Crystallography has been studied at Cambridge University since the very early days of the subject. W. L. Bragg invented the subject of X-ray structural analysis at the Cavendish laboratory and later encouraged and supported the work of a string of famous crystallographers including Max Perutz, Francis Crick and James Watson. The Cambridge Crystallographic Database began life within the Cambridge University Chemical Laboratory (where George Sheldrick wrote SHELX76) and these two institutions still share the same site. In keeping with this history, crystallographic techniques of every sort are still used widely in many different research laboratories within Cambridge University. No attempt will be made here to detail these activities because the list would be too long and the risk of failing to include important work would be too great. Within the University, crystallography continues to be taught at both undergraduate and graduate levels. In the Dept. of Materials Science & Metallurgy, K. M. Knowles offers a course in X-ray diffraction, transmission electron microscopy, crystallography of interfaces, quasicrystals and vector algebra. In the Dept. of Chemistry, D. Jefferson presents 24 lectures in two one-year courses 'Structure Determination by Diffraction' and 'Advanced Diffraction Methods'. In the Dept. of Biochemistry, T. Blundell gives a major course of lectures on techniques (including crystallographic techniques) for biochemistry and molecular biology. In the Dept. of Physics, J. Cole offers a course on diffraction. The courses are all excellent in that they manage to achieve a very great deal with a relatively small number of lectures – but for many of us who remember the old Cambridge 'Crystals' course that was taught in the Cambridge Dept. of Mineralogy and Petrology in the 1960s and 1970s, these modern courses do reflect an increasing tendency in Cambridge to teach less rather than more crystallography to our undergraduates. If this trend in Cambridge is part of a wider trend in other universities, are we happy with it? If we are not happy with it, what can we do to improve matters? If crystallography can loosely be defined as the study of periodic solid-state materials, then Oxford undergraduates can be exposed to a wide range of lectures. In Biochemistry, courses are taught on fundamentals, electromagnetic radiation and matter, physical methods, and macromolecular crystallography. In Chemistry, courses are taught in inorganic solids, diffraction theory and principles, solid-state chemistry, solid and surface structure, inorganic applications of physical methods, interfaces, and practical X-ray structure analysis. There is a course on structure of materials in the Materials Science Dept., and basic crystallography is taught in the Physics Dept. Birmingham has a proud record in synthetic organic chemistry. Thomas Hamor carried out many years of productive collaboration with synthetic chemists, providing key information to rationalize structural and mechanistic results. Kenneth Harris brought powder diffraction into the arena of chemical crystallography, developing and applying methods for the solution of organic structures from powder diffraction data. Currently powder diffraction is represented with panache by Maryjane Tremayne, concentrating on organic/pharmaceutical structures, and Joseph Hriljac, specializing in zeolites. Crystallography has an important presence in the School of Biosciences thanks to the research groups headed by Klaus Fütterer and Scott White. They are studying the structural basis of signaling processes and the structure of key enzymes: (1) those involved in cell wall synthesis in pathogenic mycobacteria and (2) exo-polyphosphatase, nitroreductase and transhydrogenase enzymes. Students in this school are provided with a course in structural bioinformatics which guides them in the correct use of structural databases and development of models. Aston ascended to university status in 1966. In its early days applied crystallography was important, notably for materials analysis in collaboration with local industry. Norman Grimes in the Physics Dept. became an expert on spinel structures; his rectification of incorrect space group assignments earned him a reputation as the 'Marsh of spinels'. The arrival of Carl Schwalbe in 1972 initiated a programme of pharmaceutical crystallography that continues to the present day. Single-crystal X-ray diffraction, complemented by neutron diffraction where appropriate, is used to answer structural questions about synthetic and natural products as well as to relate molecular structure to drug action and crystal structure to drug delivery. The MPharm course includes five lectures on theory and applications of crystallography in a structure determination block and two sessions on powder diffraction in an analytical block. As befits an institution founded in the 19th century, the University of Birmingham has a long, varied and distinguished record in crystallography. Famed for his early work on intensity statistics and his long editorship of Acta Crystallographica, Arthur J. C. Wilson joined the Dept. of Physics in 1965. Along with his colleague Ian Langford he built up a strong programme of research in powder diffraction. Liling Ooi is currently managing the chemical crystallography service at Cardiff University with an interest in in situ solid-state reactions. The research of Kenneth Harris focuses on physical crystallography with a special interest in solid inclusion compounds, incommensurate solids, hydrogen-bonded systems and disordered materials. The School of Optometry and Vision Sciences houses the research group of Tim Wess whose interests lie in structural biophysics which include the investigation of order and disorder in the structure of biological systems. The Chemistry Dept. hosts a range of crystallographers including Paul Raithby whose research includes the structural chemistry of new luminescent lanthanide complexes, and of organo-metallic polymers and their molecular precursors where X-ray radiation from a synchrotron coupled with laser excitation is used to probe the structures of these and related materials in their photo-activated excited states. Andy Burrows' research interests lie within the fields of transition metal and supramolecular chemistry and focus on the design and use of multifunctional ligands to make array materials using crystal engineering techniques. Mary Mahon investigates all aspects of structural chemistry that involve X-ray crystallography. In particular, she is interested in supramolecular architectures that involve either covalent or non-covalent interactions in lattice arrays, and charge-density studies on organic and inorganic materials. Matthew Davidson uses charge-density techniques to establish the nature of the bonding in a range of key metal catalysts. Gabriele Kociok-Köhn is the departmental staff crystallographer. 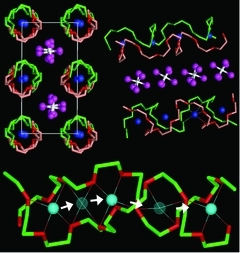 Crystallographers in the structural molecular biology group include K. Ravi Acharya. The overall goal of his research is on a molecular approach to understand the structure-function relationship of inflammatory proteins with a long-term view of using them as targets for therapeutic intervention. Susan Crennell uses X-ray crystallography to research bacterial pathogens and their adaptation to extreme environments. Jean van den Elsen's research covers identification of the structural and functional determinants involved in microbial pathogenesis, immune recognition and the ability of our immune defense system to discriminate between 'self' and 'non-self'. The structural chemistry laboratory, managed by Jonathan Charmant, is home to three single-crystal and one powder diffractometers. Guy Orpen's research includes crystal engineering and structural systematics - analysis of collections of crystal structures; John Jeffery characterises new coordination complexes which have applications such as novel non-linear optical behaviour; Chris Adams uses nitro and iodo groups to direct the solid state and Simon Hall uses biotemplates to synthesize novel high-temperature superconductor crystals. The School of Chemistry is also equipped with a Bruker AXS Nanostar small-angle X-ray scattering instrument that is used for analysis of novel polymers, nanoparticles and other medium-sized molecules. Terrence Cosgrove and Charl Faul have interests in these areas. In the electron microscopy facility, Sean Davis analyses thin films and small particles by high-resolution lattice imaging and electron diffraction experiments. Structural biologists led by Leo Brady study protein structure, primarily using protein crystallography, with the aim to probe crucial biomolecular interactions central to a variety of diseases. Ian Collinson uses structural data to investigate protein transport and integration through phospholipid bilayers. Andrea Hadfield uses structural techniques to analyse proteins involved in bacterial pathogenesis. Jenny Littlechild's interests lie in structural biology and include molecular genetics and protein purification and characterisation. The northern universities are detailed on the University of Wolverhampton's interactive map of UK higher education institutions (www.scit.wlv.ac.uk/ukinfo). Crystallographic studies underpin much of the work of the inorganic materials group in the Chemistry Dept. at Liverpool. Groups such as those led by Matt Rosseinsky, Andrew Fogg and John Claridge rely heavily on crystallographic methods (at home and central facilities) in their quest to understand structure-property relationships in complex functional materials (www.liv.ac.uk/chemistry/index.html). Alexander Steiner and his group deal with single-crystal X-ray structure analysis and in situ crystallisation of molecular materials. In the School of Biological Sciences the structural biology research group focuses on understanding disease pathways (www.liv.ac.uk/biolsci/research/groups/structural/). Engineering (www.liv.ac.uk/engdept/index.htm) groups work, inter alia, on the crystallographic aspects of phase transitions in materials. 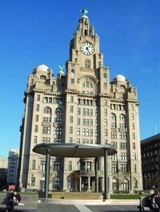 At Liverpool John Moores (http://cwis.livjm.ac.uk/bms) the groups of Colin Reynolds, Hilary Evans and Fritjof Korber have research interests that include structure-function studies of proteins, photosynthesis, and experimental methods for macromolecular crystallography. The University of Manchester has a long association with crystallography – Sir W. L. Bragg was professor of physics from 1919 to 1937, Henry Lipson of 'Beevers-Lipson strips' fame held the chair of physics and Durward Cruickshank held the chair of theoretical chemistry at UMIST. Today, crystallographers in Manchester, and those intensively employing crystallographic methods, include approximately 20 principal investigators and their teams. The Laboratory of Structural Chemistry in Manchester (http://spec.ch.man.ac.uk/Structural_Chemistry.html), linked for three decades with the nearby national SRS, involves John R. Helliwell (IUCr Acta Crystallographica Editor-in-Chief 1996-2005), Madeleine Helliwell and James Raftery. Their research interests span many areas, and there has been a particular focus on using synchrotron radiation to develop techniques such as metal anomalous scattering of metalloproteins and metal-AlPO framework materials, as well as time-resolved Laue and temperature-resolved structural studies of enzymes and liquid crystals, respectively. One major scientific riddle solved by the Manchester group is why lobsters change colour from blue to orange/red on cooking, which relied on softer X-ray anomalous scattering studies at the SRS. Structural studies on framework inorganic materials are also pursued by members of the materials chemistry group (M. W. Anderson and M. P. Attfield). Helen Gleeson studies anti-ferroelectric liquid crystals. Crystallography is extensively employed by R. E. P. Winpenny and collaborators in studies of molecular magnetism, P. O'Brien in nanomaterials studies and J. Joule in organic heterocyclic chemistry studies. Structural biology is a major focus in the faculty of life sciences (www.ls.manchester.ac.uk/research/themes/structuralbiology/), where crystallographic structural research themes include biocatalysts (David Leys and Anna Roujeinikova), membrane proteins (Jeremy Derrick and Steve Prince), RNA-protein interactions (Graeme Conn), cell signalling (Lydia Tabernero) and extracellular matrices (Jordi Bella). The recent formation of the Manchester Interdisciplinary Biocentre (MIB - www.mib.ac.uk/) is a further recent expansion in crystallography's contribution to structural biology in Manchester. In the school of materials, several staff members (Cernik, Freer, Withers and others) use crystallography to study functional materials. Roger Davey of the school of chemical engineering and analytical science (www.ceas.manchester.ac.uk) has interests in many aspects of crystal nucleation and growth, in particular molecular crystals, polymorphism and the applications of crystal chemistry to both industrial problems and the design of inorganic and molecular materials. He is director of the Manchester/Liverpool Molecular Materials Centre. 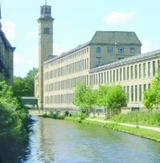 In the school of pharmacy at Bradford, Nick Blagden's group is interested in the phenomenon of pharmaceutical polymorphism, and in particular how solvents and additives can influence polymorph formation. Sue Kilcoyne at Salford (www.seek.salford.ac.uk/) studies the structural and magnetic properties of metallic alloys, amorphous materials, biological nanomagnets and superconductors. Her interests include formation, transformation and crystallisation in glasses and alloys of scientific, technological and biomedical relevance, work which has involved elegant in situ diffraction studies. Keith Ross' interests include hydrogen storage materials and ceramic superconductors. At Sheffield University there are active crystallographic groups in the molecular biology and biotechnology, chemistry and engineering materials departments. Biological structural studies were established in Sheffield in 1955 by Pauline Harrison, who carried out investigations on the iron-storage protein ferritin. The current protein crystallography groups, part of the Krebs Institute (www.shef.ac.uk/mbb/research/s-b), are led by David Rice, Peter Artymiuk, John Rafferty and Patrick Baker. The Krebs Institute possesses excellent NMR, electron microscopy and X-ray crystallography facilities. The interdisciplinary structural studies group consists of some 50 scientists, roughly half of them crystallographers. 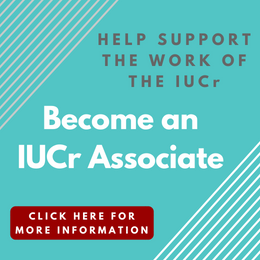 Research interests include structural analyses of interactions between nucleic acids and proteins, molecular recognition and catalysis, drug design, development of new computational/informatics methods, and membrane proteins. In engineering materials (www.shef.ac.uk/materials/), groups including those of A. R. West, N. C. Hyatt and D. C. Sinclair have interests in ceramics and solid-state chemistry that are underpinned by diffraction methods. Their interests include battery materials, microwave dielectrics, ferroelectrics and phase transitions at high temperature/pressure. In chemistry (www.shef.ac.uk/chemistry), single-crystal diffraction underpins research in supramolecular, coordination, organometallic and organic chemistry through the X-ray laboratory run by Harry Adams. Lee Brammer's group uses single-crystal and powder X-ray crystallographic methods for structure solution in areas of crystal engineering including hydrogen- and halogen-bonded networks and porous metal-organic frameworks. Synchrotron powder diffraction is being used for in situ studies of gas-solid reactions and high-pressure crystallography is being used to study intermolecular interactions. Fairclough and Ryan's group apply SAXS, SANS, XRD, grazing incidence and reflectivity to soft materials and biomolecules. Both are active users of large-scale facilities such as the ISIS neutron source and the synchrotron radiation sources at Diamond and the ESRF in Grenoble, France. R. A. L. Jones in Physics uses X-ray and neutron reflectivity to study polymer interfaces and surfaces. A small but dedicated group of materials chemists make use of single-crystal and powder diffraction facilities at the University of Hull. Steve Archibald oversees the running of a sturdy Stoe IPDS to study a variety of samples from within the department, particularly organometallics. M. Grazia Francesconi and Tim Prior are both interested in determining the structures of new non-oxide ceramics such as nitrides, nitride-halides, and intermetallics. Leeds is another northern university with a strong crystallographic heritage. W. H. Bragg was Cavendish professor of physics at Leeds in the revolutionary year of 1912 when he and W. L. Bragg realized the importance of diffraction for unravelling crystal structures. William Astbury, who originally identified the two major recurring patterns of protein structure (alpha and beta), who took the first fibre diffraction pictures of DNA (in 1938), and who is widely credited with the definition of the field of molecular biology, was at Leeds from 1928 to 1961. The Astbury Centre for Structural Molecular Biology (www.astbury.leeds.ac.uk/) brings together 50 academic staff with the common aim of understanding biology at the molecular level. The X-ray crystallography group is led by Simon Phillips. His research focuses on structural and functional studies of biological molecules, with a particular interest in the critical biological problem of how these molecules recognise each other. Systems under study include protein-DNA, protein-RNA and protein-ligand interactions. Simon also coordinates the crystallography component of the Leeds contribution to the BBSRC-funded membrane protein structure initiative (www.mpsi.ac.uk); northern partners include Sheffield and Manchester. Mark Parsons' main interest is structural enzymology and currently focuses on dihydroorotate dehydrogenases from humans and from pathogens. The aims of this work are to dissect the catalytic mechanism of the enzymes and, in collaboration with colleagues in the school of chemistry at Leeds, to design and characterise species-specific inhibitors. Thomas Edwards' research interests are the control of gene expression at the RNA level through structural studies of RNA-binding proteins, particularly those in genetic pathways controlling embryogenesis. Arwen Pearson uses a combination of single-crystal spectroscopy and X-ray crystallography to probe enzyme mechanism, with a focus on using rapid freeze-trapping techniques to determine the crystal structure of spectroscopically defined intermediates. In the school of process, environmental and materials engineering, Kevin Roberts and Robert Hammond have interests in structures, polymorphism and morphology of molecular systems. The condensed matter group in the school of physics and astronomy (www.stoner.leeds.ac.uk/) has interests in the structural, electrical and, in particular, magnetic properties of metals, semiconductors and superconductors. The world-renowned York Structural Biology Laboratory was started in 1976 by Guy and Eleanor Dodson and strengthened in the early 1980s by the arrival of Rod Hubbard and later Keith Wilson (www.ysbl.york.ac.uk/). The laboratory now houses more than 80 scientists. A key aim of the lab is to provide integrated facilities and expertise for biology and structure determination. They categorise their work in 3 main areas: structural biology to provide insights into the molecular mechanisms underlying biological functions; probing the chemistry of biological processes in areas such as structural enzymology, reaction mechanisms and fundamental studies of molecular interactions; and the development of crystallographic methods. York has had a huge influence in this latter area. The computer programme MULTAN from the groups of Woolfson and Main in physics (who themselves came from the Lipson/Manchester group) was one of the earliest software packages for direct methods and was used to solve around half of all crystal structures in the 1980s. The YSBL are heavily involved in CCP4, the Collaborative Computational Project in Protein Crystallography, and in developing new crystallographic methods. The resurgence of crystallography in the chemistry dept. 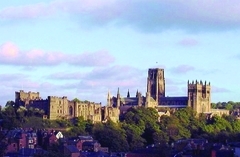 at Durham University was initiated by the arrival of Judith Howard in 1991. The groups of Howard and Andres Goeta (www.dur.ac.uk/crystallography.group/) have wide-ranging interests in structural science and work, inter alia, on single-crystal studies at ultra-low temperatures, innovative instrument design, and software development. The groups of John Evans, Ivana Evans and Kosmas Prassides in chemistry (www.dur.ac.uk/chemistry/) have wide-ranging interests in the structural chemistry of extended systems and all make extensive use of powder diffraction methods. The Evans' have been particularly active in developing methodologies for solving complex inorganic superstructures from powder data and in developing methodologies such as 'parametric Rietveld refinement' for extracting the maximum information possible from large bodies of diffraction data. John also distributes the JEDIT interface for TOPAS academic (www.dur.ac.uk/john.evans/topas_academic/topas_main.htm). Jonathan Steed's group is active in supramolecular chemistry, crystal engineering and gel-phase materials, and they have a particular interest in polymorphism in crystal structures with Z' > 1 (www.dur.ac.uk/zprime/). In 2007 Emke Pohl, whose interests are in structural biology, joined the chemistry biological science departments. There is also significant activity within the condensed matter group of the physics dept. (www.dur.ac.uk/xray.magnetism/Site/welcome.php). Brian Tanner's group works on the relationship between structure and magnetic properties of thin film materials used for magnetic devices in the recording industry. Tanner was also a founding director of Bede X-ray Metrology (www.bede.com/) which was spun out of Durham University in 1978. Bede is a global leader in non-destructive X-ray metrology for semiconductor manufacturing and has its headquarters in Durham. Peter Hatton's work focuses on highly correlated oxide systems, and in particular the application of resonant soft X-ray scattering for their study. Durham has also hosted the biennial BCA CCG course in X-ray structural analysis for the last 12 years (see elsewhere for details). In alternate years it now hosts the PCG Structural Rietveld Refinement School (alternating magnetic Rietveld schools are held at Cosener's House in Abingdon). The chemical crystallography group in Newcastle (www.ncl.ac.uk/xraycry/) is led by Bill Clegg who has wide interests in small-molecule crystallography. Bill's group were amongst the first in the UK to use a commercial CCD system for small-molecule data collection. Bill also runs the synchrotron component of the UK EPSRC-funded crystallographic service via which samples too small or too poorly diffracting to collect on rotating-anode facilities at Southampton are taken to Diamond. The group has a particular interest in the structural chemistry of the s-block complexes and supramolecular coordination chemistry. Richard Lewis and Mark Banfield have recently established a protein crystallography lab at the Institute for Cell and Molecular Biosciences (www.ncl.ac.uk/camb/). Rick's predominant interests are in protein:protein complexes. Mark, a Royal Society university research fellow, studies the molecular mechanisms of virulence in pathogenic bacteria. Both utilise a range of other research tools and there are strong internal collaborations on a diverse range of topics, including metallproteins and metal chaperones, fimbriae formation, DNA polymerase:DNA complexes and the specificity of protein:carbohydrate interactions. High pressure has been an active area of research in Edinburgh for 20 years, but it received a boost in 2001 with the formation of the Centre for Science at Extreme Conditions (CSEC). CSEC is a multidisciplinary centre with members drawn from physics, chemistry, biology, earth sciences and engineering, and it is equipped with state-of-the-art diffraction, computing, magnetism and spectroscopy facilities. Extensive use is made of central facilities at ISIS, ESRF and APS. The hotel structure of Rb-IV showing host (blue) and guest (red) atoms. Recent work in CSEC by Richard Nelmes, Malcolm McMahon and co-workers has shown that group I, II and V elements possess complex 'hotel' structures at high pressures that are unlike anything seen previously in the elements. The different electron configurations found in the elements at high pressure mean that they have a different reactivity and chemistry to those found at ambient pressure, effectively forming pressure-induced 'new' elements. Hence, the high-density complex structures are adopted by the lanthanide elements because additional orbitals are forced to participate in bonding, while modulated structures are found for Se and Te. Ices (H2O, NH3, CH4 etc.) are being studied by Richard Nelmes, John Loveday and co-workers in order to study hydrogen bonding as a function of bond strength and geometry. Recent work by Simon Parsons, Lindsay Sawyer, Colin Pulham and co-workers has extended this work to more complex molecular systems. Amino acids have been studied extensively, with new high-pressure polymorphs of glycine, serine and cysteine being identified for the first time. High-pressure methods are now being applied (with Euan Brechin, Mark Murrie and Konstantin Kamenev) to molecular magnets with the aim of altering their magnetic properties; substantial structural changes are observed in single-molecule magnets such as Mn12-acetate. Pressure has also been shown to be effective in the search for new polymorphs of molecular materials including pharmaceuticals and energetic materials, with new methods being developed for in situ high-pressure crystallization from solutions. Ferroelectric-paraelectric phase transition in Bi2WO6 studied by Phil Lightfoot and colleagues. St Andrews School of Chemistry is probably the best equipped in the UK for powder diffraction, with seven powder diffractometers (2 Philips, 5 Stoe). Two of these are equipped with high-temperature furnaces (and one with low T down to 80K), and these are complementary to each other, one operating in transmission, and one in reflection mode. There are around 7 research groups using these facilities, comprising more than 60 users overall. Of these main research groups, interests are in inorganic materials: batteries, fuel cells, porous solids, catalysts, ferroelectrics etc. Structures and Li+ conduction in PEO6:LiXF6 (X = P, As, Sb). The new EaStCHEM Research School of Chemistry has recently been formed from the research schools at the Universities of Edinburgh and St Andrews. Chemical crystallography groups are active at both sites. At St. Andrews, Alex Slawin studies new structures related to biological or macroscopic properties (e.g. conductivity). They are studied crystallographically and with molecular modelling techniques, with a particular interest in new polymetallates, enforced distortions in disubstituted naphthalenes and rotaxanes. The ambient-pressure/low-temperature structural chemistry of small molecular systems has been investigated by Simon Parsons, recent highlights being the structures of group 13 hydride and fluoride derivatives, such as BGaH6 (with Tony Downs, Oxford) and B8F12 (with Peter Timms, Bristol), and polymorphism in pyridine (with Bill David, and Richard Ibberson and Bill Marshall at ISIS). This work also led to development of the program ROTAX, used for analysis of non-merohedral twinning. EaStCHEM has one of the largest materials chemistry groups in the UK, with research depending on novel synthesis, theory and diffraction methods – particularly powder diffraction. Oxides with coupled properties such as ferromagnetism and ferroelectricity, frustrated magnetic networks based on triangular or Kagomelattices and photoswitchable magnetic materials are studied by Paul Attfield, Andrew Harrison and Serena Margadonna and co-workers in Edinburgh. Battery and fuel-cell technology is being developed by Peter Bruce, John Irvine and co-workers. Crystalline polymer electrolytes such as PEO6:LiAsF6 have been shown to conduct better than amorphous complexes of the same composition because lithium ions move through cylindrical tunnels formed by poly(ethylene oxide) chains. Russell Morris and his group work on porous solids, which can store gases until released by a stimulus (e.g. water), allowing the gas to be slowly released in biological systems; these systems form very small crystals, and synchrotron microcrystal X-ray diffraction is essential for obtaining structures. Protein crystallography was established at the University of Dundee by Bill Hunter in 1996. Subsequently, junior staff Daan van Aalten and Charlie Bond joined the university. Currently, there are about 20 staff and student crystallographers working in the area of enzyme mechanism and structure-based inhibitor discovery projects with a major emphasis directed towards the biology of trypanosomatid parasites. There is a strong collaborative link with colleagues nearby at St Andrews, formalised as the Scottish Structural Proteomics Facility. Durward Cruickshank with Chick Wilson at the opening of the Cruickshank Laboratories in the University of Glasgow. The West of Scotland has a long and distinguished history in the development and application of crystallographic methods. 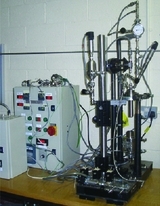 This tradition continues today, and has recently been boosted by strategic initiatives in this area, providing a comprehensive range of equipment including six single-crystal and five powder diffractometers with full temperature range capabilities, in instrument suites established in the Cruickshank Diffraction Laboratories, the Robertson Protein Crystallography Laboratory, and the Glasgow Centre for Physical Organic Chemistry. The current capabilities in this area in the city of Glasgow include high-impact and high-profile protein crystallography (led by Neil Isaacs, Andy Freer and Adrian Lapthorn), through major exploitation of single-crystal and powder diffraction in the areas of inorganic materials (Lee Cronin, Rab Mulvey, Alan Kennedy, Justin Hargreaves, Duncan Gregory, Ed Cussen) and magnetic systems including molecular magnets (Mark Murrie, Daniel Price). Advanced studies of organic and molecular structures (Peter Skabara, Chick Wilson), hydrogen-bonded systems including multi-condition single-crystal diffraction and major use of neutron diffraction methods (Chick Wilson, Andy Parkin), charge-density studies (Louis Farrugia) and powder diffraction studies of molecular materials (Alastair Florence, Chick Wilson), including polymorphism and structure solution from powder data (Alastair Florence). In addition to studies of a range of important materials and systems, crystallographic technique development is also healthy, with major efforts in computational crystallography for single-crystal diffraction (Louis Farrugia), in Patterson methods and advanced Fourier techniques (Chick Wilson), and maximum entropy and likelihood, electron diffraction methodologies, structure solution and advanced methods for analyzing powder diffraction patterns (Chris Gilmore).  Cluster analysis methods to examine similarity in powder diffraction patterns (PolySNAP; Chris Gilmore) and in comparing structural geometries (dSNAP; Andy Parkin, Chris Gilmore, Chick Wilson) are also developed and applied. Development collaborations are also established with many of the major diffractometer and equipment manufacturers. A Trinity of rings holding two larger rings at arms length! Crystallography in Ireland was confined to powder diffraction work until the end of 1960s. In what now appears to be the same year in the early 1970s single-crystal work got under way both north and south of the border. John Malone in Queens Belfast and Brian Hathaway in University College Cork both did the first single-crystal work using Weissenberg photography. The first diffractometer in the north was a 3-circle system set up by Stan Cameron in the University of Ulster at Coleraine and the first diffractometer in the Republic of Ireland was also a 3-circle system set up by Christine Cardin in Trinity College Dublin. The first 4-circle diffractometer north or south was installed in NUI, Galway, in 1981 by Patrick McArdle and Des Cunningham. The second 4-circle and the first area-detector system were also installed in Galway in the 1980s. John Malone in Queens Belfast investigates organic structures and is particularly interested in absolute configuration in molecules of biological or pharmaceutical relevance, and in weak non-covalent interactions. The considerable investment by the government of the Republic of Ireland in scientific research in recent years has led to an expansion in the range of X-ray diffraction facilities available to Irish researchers. Kieran Hodnett at the University of Limerick has developed in situ reaction cells which can use X-ray-diffraction to monitor dissolution and crystallization reactions. The cells have been used to obtain in-house and synchrotron data at temperatures up to 250°C at pressures up to 40 bar and in 7 molar KOH. The Bayer process for alumina purification has been studied using this cell. [J. Murray, L. Kirwan, M. Loan, B.K. Hodnett, Hydrometallurgy, 95, No. 3-4, 2009]. Martin Caffrey at the University of Limerick Centre for Membrane Structural and Functional Biology leads a group which studies proteins and lipids. The group also provides a membrane protein data bank at www.mpdb.ul.ie/. Amir Khan at Trinity College Dublin is working on the molecular basis for vesicle trafficking by the Rab small GTPases. The Kahn group can be contacted via their web page at www.tcd.ie/Biochemistry/research/a_khan/. Patrick McArdle at NUI, Galway, has developed the OSCAIL software package for crystallography and molecular modeling which is available from www.nuigalway.ie/cryst. OSCAIL has high-quality graphics which ranges from photo-realism to auto-movie generation. The package is currently being developed to include crystal morphology prediction and visualization. Simon Lawrence and his collaborators at University College Cork are using targeted chemical synthesis to aid the study of pharmaceutical molecular solids. Their interests range across crystal engineering, polymorphism, novel crystalline forms, co-crystals and crystallisation processes. Crystals of αβ-D-lactose and the two anomers in the unit cell. A significant development for crystallography south of the border has been the funding by Science Foundation Ireland of a research cluster which is working on the several aspects of the crystallisation process. Kieran Hodnett is the director of the Solid-State Pharmaceutical Cluster, SSPC, which includes research groups in five universities and nine pharmaceutical companies. The university research groups involved in the cluster are Kieran Hodnett (University of Limerick), Brian Glennon (University College Dublin), Owen Corrigan and Anne-Marie Healy (Trinity College Dublin), Patrick McArdle (NUI, Galway) and Simon Lawrence and Humphrey Moynihan (University College Cork). The cluster has five research themes which examine different aspects of the crystallization of pharmaceuticals and plans to graduate fifty PhDs. The current status of crystallography in Ireland represents a wonderful change from the difficulties experienced in the past and it is reasonable to expect a bright future for crystallographers working in Ireland. Small-molecule crystallography is an integral part of many aspects of the development of a new drug, from initial identification of a medicinally useful molecule through design and scale-up of the manufacturing process. Of particular concern are polymorphs and solvates of drugs, since formation of an undesired form, either during preparation or storage, may affect bioavailability and processability. Crystallographic expertise is distributed throughout the R&D teams at the British, Swedish and American AstraZeneca sites. Powder XRD is used in process chemistry and process engineering, as well as in the analytical depts; this enables rapid access to XRPD data to support crystallisation and isolation activities. Single crystal XRD facilities are also available. AstraZeneca has departments called DECS (Discovery Enabling Capabilities and Sciences) which provide core facilities to their four therapeutic research areas. One of the capabilities in DECS is called global structural chemistry, which includes protein crystallography, NMR and engineering sections, and is split across three sites: two major sites in Molndal, Sweden, and Alderley Park, UK, and a crystallography operation just beginning in Boston, US. Alderley Park (AP) crystallography was established in 1992 (when the AP site was ICI) by Richard Pauptit, who now runs it as Associate Director and Principal Scientist, with Derek Ogg and Jason Breed running a team of 8 crystallographers and a team of 5 crystallisers, respectively. The section is equipped with 3 generators (micromax, FRE, Bruker FR591) and RoboHTC (Emerald-deCode) crystallation robotics. Extensive use is made of MXpress, the ESRF Fedex data-collection capability. The crystallisers share a laboratory with the researchers in protein engineering section who prepare crystallization and NMR-quality protein. The main therapeutic areas covered by the AP section are oncology, infection (including Tuberculosis with AstraZeneca Bangalore) and inflammation. The crystallography team works closely with NMR (which is principally used for screening and mode-of-action studies), enzymology and computational chemistry. AstraZeneca has been supporting crystallographic software development and relevant courses and meetings. Pharmorphix was formed in July 2003 to provide high-quality tailored research services to the international pharmaceutical and biotech industries. In January 2005 Chris Frampton was appointed chief scientific officer. The acquisition of Pharmorphix by Sigma-Aldrich in August 2006 has proven advantageous. Combining Pharmorphix's technology with SAFC's development and manufacturing capabilities ensures that customers receive high-quality services and also benefit from extensive research capabilities and expertise. The company consists of a world-class team of scientists combining technical expertise with industrial experience. Pharmorphix has strong links with the U. of Cambridge and several major US and European biotech companies.